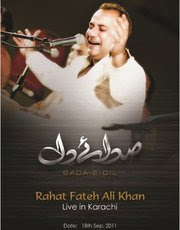 Ustad Rahat Fateh Ali Khan live in Karachi " Sada-e-Dil"
Venue will be disclosed later due to security concerns . Tickets for the Concert are available now . VVIP Corporate lounges also available . One VVIP Lounge is for 10 persons .